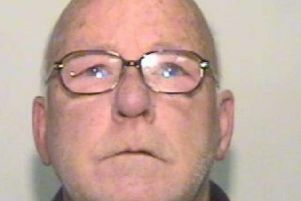 A man who indecently assaulted a young girl from Burnley while she was on holiday with her family in Egypt has been jailed. Frank Dent (73) of Lancresse Court, De Beauvoir Estate, London indecently assaulted Kayley Jayne Howson, who was aged ten at the time, while she was on a coach trip with her family to see the pyramids in 2000. Tragically Kayley took her own life in March 2008 when she was aged 18. Kayley was sitting next to Dent across the aisle from her mother and it later transpired that he had been assaulting her throughout the journey. The incident was reported to police upon the family’s return to the UK but Dent was not traced at the time. Since then Kayley’s mother, who never stopped searching for Dent, saw a man in the media who she thought was him. This led to the case being reopened and Dent was later identified and arrested by the Metropolitan Police in February 2016. He appeared at Burnley Crown Court in August where he pleaded guilty to a historic offence of indecent assault on a girl under the age of 14 years. Last week he was sentenced to 12 months imprisonment at Burnley Crown Court. He was also issued with a Sexual Harm Prevention Order and notification requirements for five years. DC Ben Lyons of Blackburn CID said: “This is a tragic case involving the indecent assault of a young girl, a day before her eleventh birthday, while she was supposed to be enjoying a trip on her family holiday. “It is very sad that Kayley was not able to see Dent being brought to justice for what he did to her over 16 years ago but I hope this case shows other victims of sexual abuse that we are committed to tackling the perpetrators, regardless of how long ago the offences took place.